After months without a resident magistrate, the island of Ambergris Caye, with close to 12,000 plus residents, was finally assigned one. 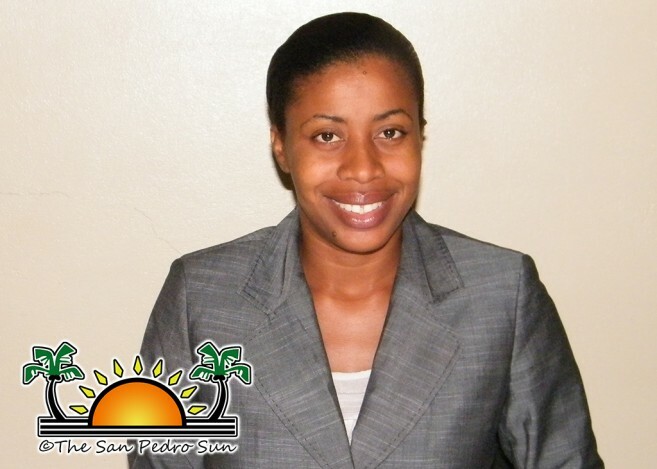 The new magistrate of San Pedro Town is Sherigne Rodriguez. Rodriguez is originally from Belize City and is a recent graduate of the Norman Manley Law School in Jamaica. With the new resident magistrate fully assigned to the San Pedro Magistrate Court, it is hoped that it will help to address the issues relating to backlogs in court cases caused by lack of a full time magistrate. The San Pedro Sun spoke to Magistrate Rodriguez, who said that due to the need of residents and the amount of cases, she was assigned to deal with the growing demands of the town. Magistrate Rodriguez has been living on the island since December 3rd after fully assuming her new responsibilities. The mother of one has been working in the paralegal field at the Belize City Magistrate’s Department for a little over a year. Magistrate Rodriguez studied law at Norman Manley Law School in Jamaica but is also a graduate of the University of the West Indies after perusing studies at Saint John’s Junior College and Saint Catherine’s Academy. “I decided to go into the legal system because I always wanted a profession. I didn’t just want a job, I wanted a profession,” said Magistrate Rodriguez who opted for law over her initial desire to pursue a career in the medical field. With just a few days as the Magistrate of San Pedro Town, Rodriguez has observed that “the more pressing needs [when hearing cases] concern rampant theft/robberies/burglaries. Some of these crimes seem to be [committed by] persons who are addicted to drugs.” By hearing and dealing with pending court cases, Magistrate Rodriguez hopes to minimize the increasing amounts of stagnant trials over issues such as theft, family and civil issues. Magistrate Rodriguez also looks forward to familiarizing herself with the community and assist as much as possible. Rodriguez officially takes over the vacant post left behind after the transfer of former Magistrate Patricia Arana, who is now with the Financial Intelligent Unit as of June, 2011. The San Pedro Sun joins the community in welcoming Magistrate Sherigne Rodriguez to the island and wishes her much success in her term as our resident Magistrate.